Yepp, my doors were frozen shut too. The ice that formed on the door looked pretty awesome though! Yeah was cold last night! but the night before wasn't much warmer and the rain had frozen so the car had about 2cm of solid ice on it. no snow though. Looks like snow tonight, wrap up warm peeps! I was up in Aberdeen in early December up the A9 though Keith and it was getting daft. Like -19 degC. My skin is a bit too sensitive for that cold. 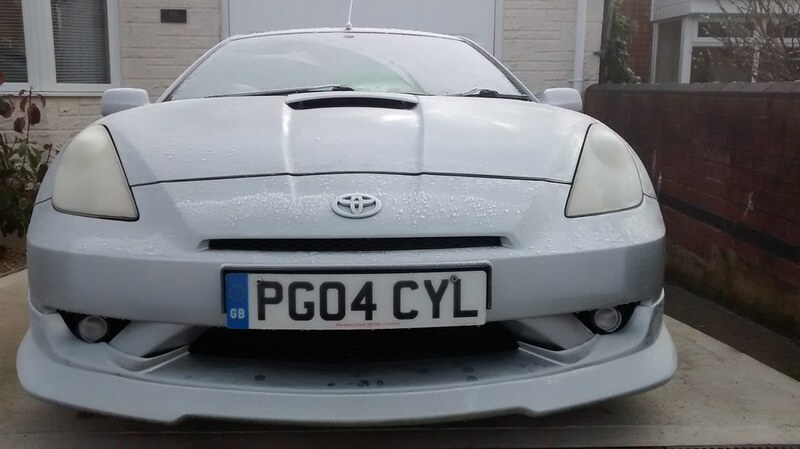 Almost looks like your celicas been drinking milk. Have you noticed increased milk usage in your household ? does that snow plow attachment on the front bumper come in handy then? Your Celica is such a messy eater.